Usually when I make candy, I make it for its own sake. Last week, I made this Bourbon honeycomb candy recipe for the sake of cookies. You guys may remember that I was inspired by my friend Viviane’s gorgeous Chocolate Honeycomb Cookies, and I absolutely had to make some for myself. Since I had some lovely Bourbon-infused honey at the house. 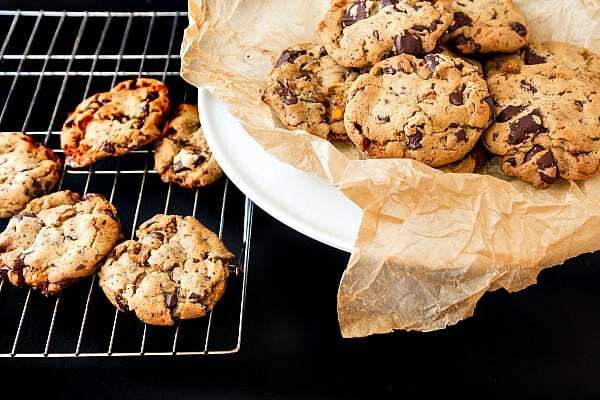 I ended up with Bourbon Honeycomb Chocolate Chunk Cookies, and they were The Best. See? 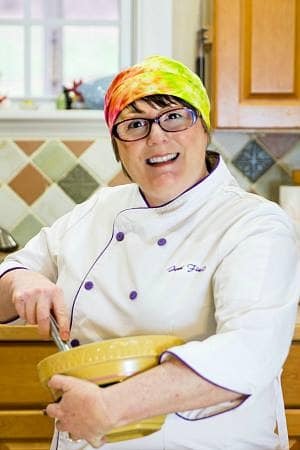 As luck and timing would have it, Nancie McDermott was coming over to help with Cook the Book with Denise and Jenni last Sunday, which also happened to be her birthday. So I made more cookies. First I whipped up more of that bourbon honeycomb candy recipe, and then I made more Bourbon Honeycomb Chocolate Chunk Cookies. Because who doesn’t want cookies for their birthday? 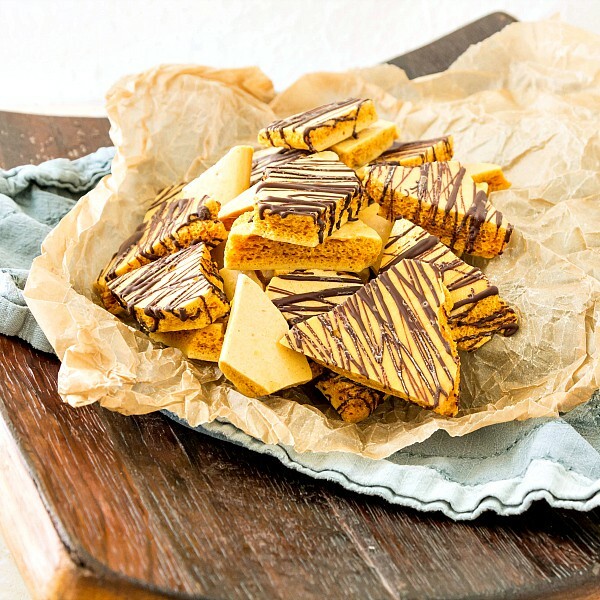 I posted the cookies last week, but I wanted to make sure I also posted the Bourbon honeycomb candy recipe since it’s part of what makes the cookies so special. There are plenty of honeycomb candy recipes out there, and in fact, I based my formula on this honeycomb recipe. 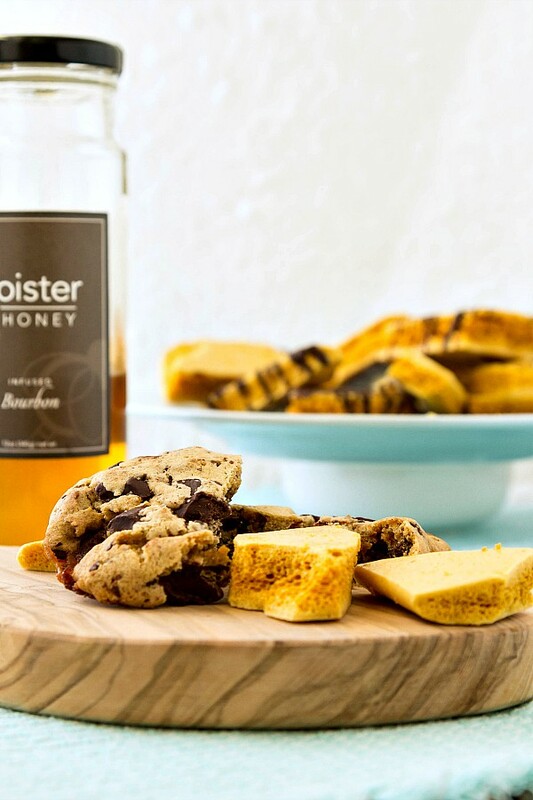 Still, if you can get your hands on some Bourbon-Infused Honey from Cloister Honey, you will be Very Happy Indeed! Please know that it is critical to cook the sugar to the correct temperature when making most kinds of candy. And now, without further ado, I give you the Bourbon Honeycomb Candy Recipe to either eat by itself, crush over ice cream or use when making your own Bourbon Honeycomb Chocolate Chunk Cookies! Thanks for the recipe, Jenni! I love bourbon and I’m excited to try this candy one day soon. I love the texture! It’s a magical candy, Renee! So light and fun. The bourbon is fairly subtle because of the intense heat, but the honey flavor really shines through! Enjoy! I have never thought about using honey in cookies before. These are something I am going to have to make, so the next time I stop by the store I’m getting ingredients. Something else that could be fun, do you think making the cookies into a honeycomb shape would not ruin it? Hey there! If you mean a 3D honeycomb shape (like a beehive look), I think they wouldn’t bake all the way through and the centers might end up too gooey. And with all the mixins, they probably wouldn’t hold their shape very well, Sarah. I think I’d stick with a traditional drop cookie for these guys. I hope you enjoy them!